Early Mandan leaders understood the stability a Federal facility could bring to the economy of the area. In 1908, they had a bill introduced in the US Congress for an Indian school. The legislation passed, but Bismarck businessmen maneuvered a way to get it built on their side of the Missouri; since there was no bridge connecting the two cities at that time. Needless to say, Mandan promoters did not welcome the turn of events. Business leaders understood the success of farmers and ranchers was crucial to their success. While the early Dakota settlers brought with them their favorite seeds and plantings for raising fruit, vegetables, grains and trees from their prior homes, many varieties did not thrive in growing conditions found on the high dakota prairie. 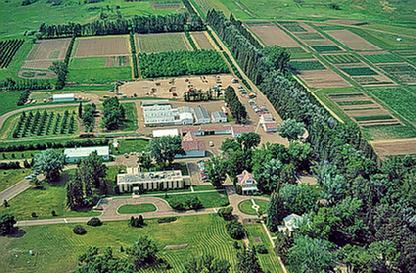 Efforts to secure a Federal facility subsequently turned to the agricultural industry of the region. A. E. Thorberg, W. A. Lanterman and C. L. Timmerman pushed for an agricultural experiment station after a priairie fire devastated many acres of land. They lobbied the U.S. Congress for a research lab to develop improved plant strains the following year. The bill failed, as it did again in 1911. Finally in August 1912, a bill passed to establish the Northern Great Plains Research Laboratory. However, funding the facility was a separate effort. Mandan businesses pooled their resources and purchased land for the new facility at approximately $32 per acre. Among them were a bank, several mercantile companies, a drugstore, an insurance company, a newspaper, a clothing store and a tailor. Major James Hanley, a prominent area politician, got ND to reimburse them, and the land became property of the State – which leased it to the federal government for 99-years. 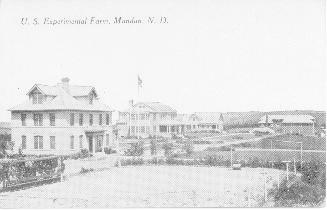 Mandan scientists broke sod in 1913 and planted several blocks of trees in 1914. But there was a problem; the facility was paid for, but nothing had been appropriated for research. J. C. Brinsmeade, the first agronomist, had to buy equipment and hire people out of his own pocket. The first buildings at the Northern Great Plains Experiment Station were erected in the spring of 1913, and a wind break, a quarter mile long and fourteen rows wide, was planted at that time. Robert Wilson took out newspaper ads offering landowners saplings and growing plans through the Windbreak Tree Program, and more than 4,000 landowners applied. Wilson and five forestry students inspect each site, traveling by horse and buggy, train, and automobile, and the following spring, more than 1,300 farms in ND, SD, WY and MT planted windbreaks. In the years that followed, fruit breeding led to hardier strains of apples, plums and apricots. Improved varieties of vegetables led to the formation of local seed companies like the Oscar Will Company. Research on grains and other crops led to better drought and disease resistance. Dairy herds, too, improved because of the lab�s research into feeding, breeding and management practices. Although the dairy program ended in 1955, participating farms in Morton and <?xml:namespace prefix = st1 ns = "urn:schemas-microsoft-com:office:smarttags" />Emmons County still lead the state in diary production today. In 1935, during the Great Depression, Congress withdrew funding for agricultural research, but Mandan businessmen weren�t interested in letting go; they got more than 4,000 windbreak tree recipients to contact Congress, and appropriations for the lab were restored. Sixty years later, in 1996 and �97, funding was again deleted from the federal budget. And, once more, farmers and ranchers mobilized to save the lab, and funding was restored. 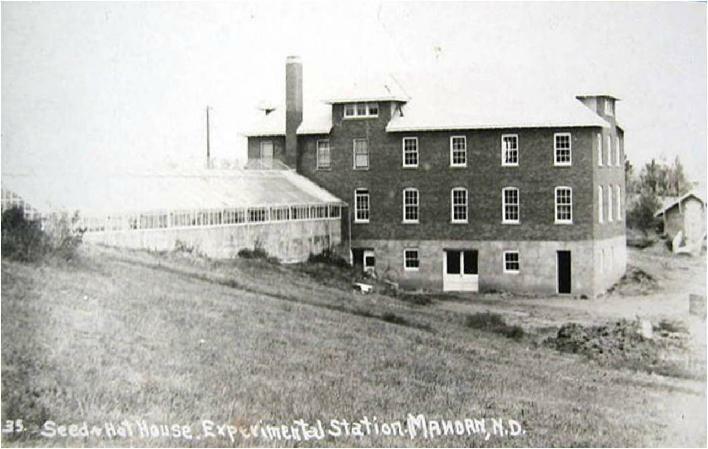 Mandan owes much to A. E. Thorberg as the promoter, and to Congressman L. B. Hanna and Senators Gronna and McCumber as the represetatives in Congress, who were successful in obtaining the appropriation necessary for the present Northern Great Plains Experimental Station. This Station today maintains the honor of being the largest Federal dry land experimental station in the nation, outside of Beltsville, MD. Dry land farming in all of its phases is carried on at the Station, as well as the development of new grains and fruits. A few of the fruits which have been developed at the station and released for commericial use include five varieties of apples, three of crabapples, four plums, two cherry plums, one apricot and varieties of currants. New varieties of vegetables have also been developed. 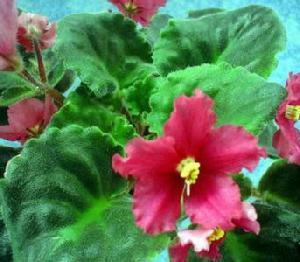 While the focus now and in the recent past remain with food varities, some hardy flower varieties have also been released. The Station has a high place in history for the advances made in the production of many foods. The Northern Great Plains Research Laboratory has now taken on an additional role, advancing knowledge of "green energy" by conducting research on carbon sequestration and developing switch grass varieties for potential ethanol fuel feedstocks. Other current research projects including improving the nutritional value of beef, using fewer production steps while increasing crop yields and creating new forage cultivars.